Efﬁcient combustion of a fuel in any industrial process is essential in cutting operating costs while reducing pollution to enable compliance with environmental legislation. 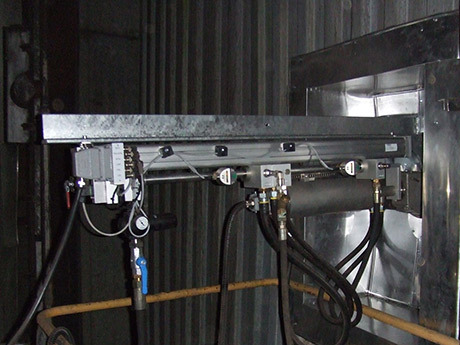 Our analyzer systems providing reliable and accurate information about concentration of gases products of combustion processes needed for monitoring and control of fuel/air ratio. For advanced monitoring of combustion processes Petroprocess is offering system for visualization of combustion processes in boilers and industrial and process furnaces. Process knowledge and our design and installation expertise allow us to create accurate systems which provide our customers with more information on temperature distribution in combustion chambers, analysis of unbalanced combustion processes, burning analysis, slag monitoring and visualization of flame in combustion chamber, post combustion area, hoper, grate and flame front monitoring. 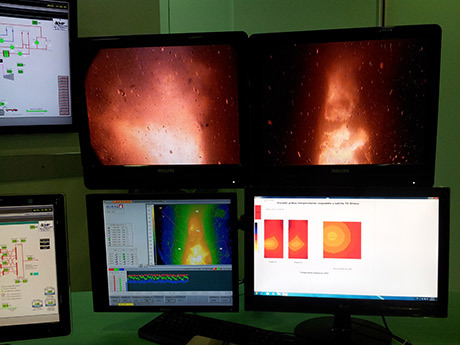 As well as flame visualization, our systems additionally offer temperature determination, thermal analysis of the local temperature distribution and temperature definition in specific areas of interest. 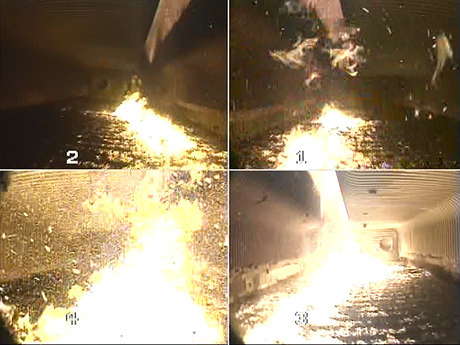 Furthermore, Petroprocess is offering design and implementation of advanced ignition systems. Depending on customer needs, we may providehigh energy electric igniters (high energy electric spark is capable to directly ignite fuel oil), flame monitors and controllers, gas igniters, pilot burners, gas/oil burners and gas control solutions.